We All Scream for Ice Cream! Mattey and Mickey's ice cream making experience and a book I read recently have left me wanting to make ice cream. I did it this afternoon. I just made vanilla but then added some chunks of cookie dough. Yum. I'd share the recipe but it wasn't as good as I'd like it to be. It was too creamy tasting. Meaning it tasted too much like the whipping cream I used. Not my favorite. 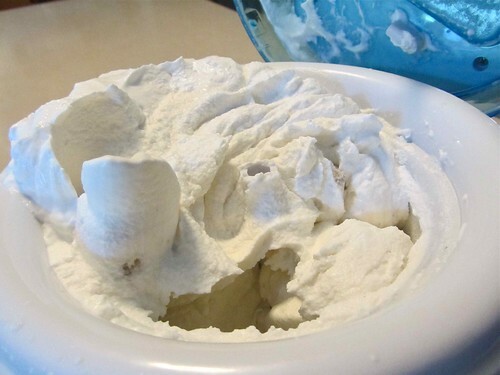 While searching for a good ice cream recipe I came across a frozen yogurt recipe I want to try. I'll let you know if that turns out.